First published in 1967, this groundbreaking novel immediately resonated with young adults. Forty years later, the story is as fresh and powerful to teenagers today as it ever was. Featuring the original cover design, this stunning edition celebrates the 40th anniversary of this ... read full description below. 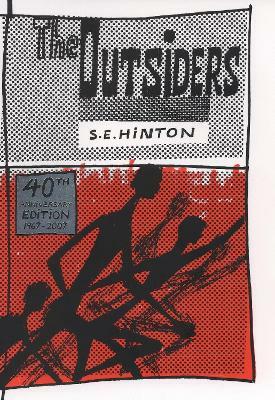 First published by Viking in 1967, The Outsiders immediately resonated with young adults. This groundbreaking novel was like nothing else out thereait was honest and gritty, and was a deeply sympathetic portrayal of Ponyboy, a young man who finds himself on the outside of regular society. Forty years later, with over thirteen million copies sold, the story is as fresh and powerful to teenagers today as it ever was. Celebrate the fortieth anniversary of a classic with this stunning edition, featuring the original cover. The recipient of the first annual Margaret A. Edwards Award for distinguished contribution to young adult literature, S. E. Hinton is the author of several popular young adult novels, including That Was Then, This Is Now (Viking). Several of Ms. Hinton's books have been made into movies, most notably The Outsiders, which was directed by Francis Ford Coppola. Ms. Hinton lives in Tulsa, Oklahoma.